My favorite part about teaching is that teachers love to share resources. We are a community. 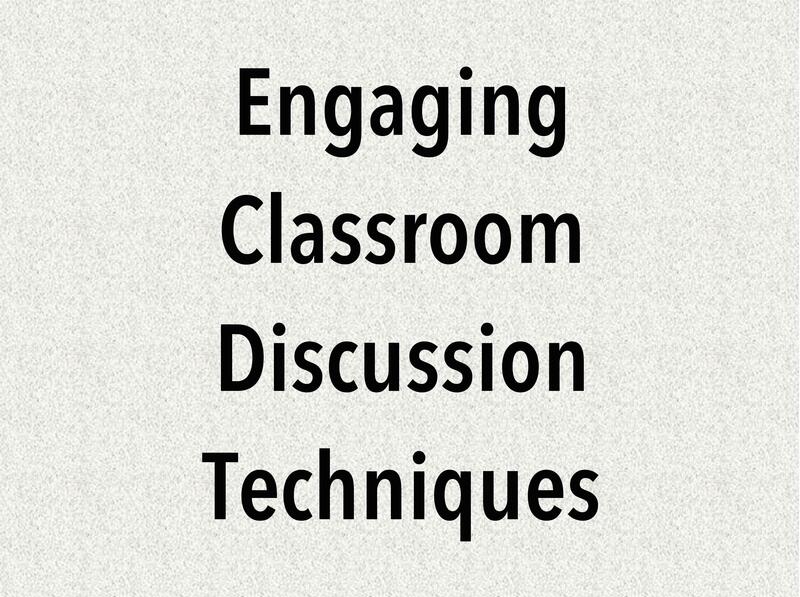 The more I teach methods courses at the university level, the more frequently I find myself sharing some ways I’ve hosted classroom discussions. I did not create any of these ideas below, and sadly, I cannot even share the source of the methods. I credit my advisor, Wendy Glenn, for introducing me to many of them. After I graduated and started teaching, I found other great books along the way which taught me others. While some of these ideas may be old news for you, I hope you are able to learn at least one new, useful method below. I never get tired of the circle, but my students often get tired of it. In my last year of teaching, I vowed that I would never create the discussion questions because I was working toward a student-centered classroom. After each reading, I required students to generate quality conversation starters. They submitted their questions on slips of paper, and whenever the conversation slowed down, we grabbed a new question. Every time I use the fishbowl in my college courses, the students are blown away at how fun it is. I remember feeling the same way as an undergraduate. This is a bit tricky to explain. There is an inner and an outer circle. Three to five kids are in the inner circle, and they are the only students allowed to speak. We draw questions (usually student-submitted questions), and those students have a conversation as if they are the only people in the room. When someone in the outer circle wants to make a comment, s/he taps the shoulder of a person in the inner circle, and they swap seats. I remind my students that they all must enter the inner circle twice, and they shouldn’t tap someone’s should unless they have made two comments. When the conversation gets dry, we pull a new question. This method takes some getting used to, but the kids find it to be quite fun. If the outer circle isn’t paying attention, I require them to take notes on the discussion. This method is similar to the fishbowl. I always use an inner and outer circle. Instead, the inner circle is closely examining a text and asking a lot of questions about it: Where did the idea come from? What is the purpose of this line? I have an even number of inner students as outer students. Each inner student is paired with an outer student as his/her coach. At several points, I take a break and give that pair time to talk about how the inner student is doing. They can offer ideas and support to help the inner circle person contribute to the discussion. I find this video to be particularly helpful, and the website offers rubrics and ideas about helping students set goals for this discussion. For this technique, we ask four groups of students to read four different articles or research four different topics that have a common theme. Usually, they do this for homework. If I have 24 students in my class, six students will be reading Article 1, six students will be reading Article 2, six students will be reading Article 3, and six students will be reading Article 4. When the students come to class, I group them by their article. This is their “home” group. They spend time discussing the article and outlining how they will present it to their peers. This gives them the confidence to share its content. Within each group, I assign each student a different letter. So for Article 1, if I have six students, I assign them A, B, C, D, E, and F. I go to each group and assign those same letters to each group. (I’ve also seen people line up students based on their articles, but both methods work fine). Then, all of the students regroup based on their letter. So out of the A students, I will now have four students in the group, one from each of the original four articles. The students’ job is to listen to each other and take notes (often in a graphic organizer I’ve created). For those of you who are unfamiliar with this method, it might sound like a lot of work, but it really is quite easy to organize. The benefit is the students learn about four related articles without having to read them all. I used to do this when we talked about modern genocide as it related to the Holocaust text I was teaching. Instead of asking the students to research many countries, I assigned four countries to four groups. In the end, the students were responsible for sharing about the country they researched, and as a group, connecting that knowledge to the text. We have an equal number of students in an inner circle and in an outer circle. The students in the inner circle face the students in the outer circle, and each student is paired with another student. I ask a discussion question (e.g. What did you think about the decision of the trial?) and only the inner circle person can speak. The outer circle person can only listen. Then, I ask the same question to the outer circle person, and his or her job is to listen. This teaches listening skills, and it also teaches the speaker to elaborate. After about thirty seconds, I ask the inner circle to rotate clockwise three people to swap partners (or however many times I feel like). I ask a different question (or sometimes, the same question!). The same process continues (either the inner or outer circle person is in charge of speaking and then it swaps). Then, I have the outer circle rotate counter-clockwise two people to swap partners. The students have fun discussing the questions with different people each time, and they find the turning of the circles to be wildly fun. I ask the students to fold a piece of paper lengthwise so they have two columns. Then, I ask them to write everything they learned from the text in the right hand column. I tell them the more they write down, the better. When they are finished, I ask them to write numbers 1 through 10 in the right-hand column. Their job is to go around the room and to collect (from ten different peers) ten ideas that they don’t have on the left-hand side of their papers. This requires them to spend time with each peer, reviewing the information they learned and wrote down, and find something they missed or didn’t consider. They groan when you tell them what they have to do, but while they discuss the text, they are always laughing at the obscure or specific facts their peers come up with. I post four to six major discussion questions in different areas of the room. I put small groups of students at each question and give them post-it notes. Their job is to discuss the question in front of them and write one idea/topic they discussed on the post-it note. Then, the entire class rotates clockwise. They read the question, read the post-it(s) from a previous group or groups. Their job is to discuss the question and come up with something different to put on their post-it note. After groups have rotated and put post-it notes on every discussion question, the groups stay at the last question on the wall. They are required to share out to the entire class one or two great ideas from the post-its on the question in front of them. Students sit in groups. In front of each group is a different character (or topic). I ask them a question about that character (e.g. What do we know about him/her based on his/her actions in the book thus far?). They write notes on the butcher paper. Then, they pass the butcher papers clockwise, and they receive a new character. Their job is to read the notes of the previous group. Then I ask a different question (e.g. How do you predict the character will act in the rest of the novel?). They write notes, and we keep passing. This allows the students to see the ideas of many of their peers about different questions, and they feel like they are working as a whole class to create a complex understanding of each character. We post the butcher paper in the room. This works best as a pre-reading activity for a book, but it could be modified for any subject area. I did it in my Methods class as an undergraduate student and loved it. My students enjoyed it, too. I provide a handout with major themes from a novel (e.g. Revenge is justifiable. 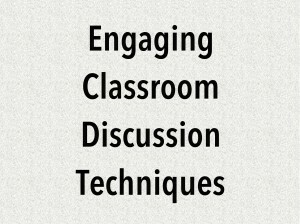 ), and ask students to circle “Strongly Agree,” “Agree,” “Disagree,” or “Strongly Disagree” for each statement. Then I read the questions aloud and ask students to walk to the corner of the room that has the sign (“Strongly Agree,” “Agree,” “Disagree,” “Strongly Disagree”) that matches their opinions. I ask a volunteer from each corner to share his/her opinion. This often leads to heated debates, and it gets the students thinking about the novel. Ask students to write down the five main ideas they got from a text. (This can be adjusted in a variety of ways, but it is good to require students to write five ______. For instance, they might write down five ways to connect the text to the real world.) Then, ask students to get into groups of three. Their job is to talk through each of their lists and pair the fifteen ideas down to five ideas. Then, their group of three joins another group of three. The six group members talk through their ideas and reach a consensus of the top five ideas. Then, all of the groups share out, and we have a class discussion to agree on the five, main points. This discussion technique requires groups to talk through ideas and determine essential, important concepts from a text. It also allows students to spend time considering how their ideas fit in with the ideas of their peers. I just came across this neat technique by Sarah Brown Wessling. I recommend you watch the 7-minute video to see how it is organized. Students are arranged into a pinwheel shape. Three groups are each assigned to a different author, and a fourth group serves as “provocateurs” who ask probing questions. This would be a great way to synthesize multiple texts that you have read in class. Please, please post a comment explaining any methods that I’ve missed, and I will incorporate your ideas into the post! Want more ideas? 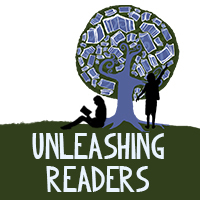 Check out this page more closely related to novels! Wow, Ricki, I’ve used some of these ideas, but next year, I’m hoping to try out the ones that are new to me. Thanks so much. I am so glad you find them helpful, Cheriee! Thank you Ricki. These are great ideas that I hope to incorpirate in my classes this year. I’ve only used the Socratic method of the ones you mentioned. Quick question. Do you ever have issues with noise since the groups are discussing at the same time? Yes, sometimes I have had issues with noise level. Usually, if I walk to groups and ask them to speak quietly, that solves the problem. During some of these activities, I have the students who are watching or listening take notes on a graphic organizer. I loooove these ideas! I cannot wait to use them in my class this year. I really want to incorporate a lot more collaborative activities, and these will be perfect. Faculty Focus examines new, proven collaborative learning techniques you can use in the online classroom to promote social interaction and have a positive influence on learning, motivation, and problem-solving. Buying a used or new automobile might be a difficult process if you do not know what you are actually doing. By teaching yourself about auto store shopping before you go to the car dealership, you can make things easier for yourself. The following tips may help the next shopping getaway be enjoyable. Generally bring a technician alongside when searching for a brand new automobile. Vehicle retailers are popular for marketing lemons and you may not wish to be their up coming victim. Provided you can not have a mechanic to consider cars together with you, a minimum of make certain you have him review your closing choice prior to buying it. Know your restrictions. Before you start purchasing for your next vehicle or truck, make a decision what you can manage to spend, and follow it. Don’t forget to include curiosity about your calculations. You can expect to spend close to 20 % as a down payment at the same time, so be ready. Well before attending a dealership, know which kind of automobile you would like. Research most of you possibilities ahead of buying so you can evaluate which works best for your financial allowance and household demands. Do your homework to discover just how much you must pay for any potential automobile. Before you sign any commitment spend some time to read each and every range, such as the small print. When there is nearly anything outlined that you just do not recognize, do not sign till you receive an solution that you understand. Unsavory salesmen can make use of an agreement to put numerous costs that have been not talked about. In the event you keep your previous assistance in mind the very next time that you just go looking for a automobile, you will end up more prone to obtain a good package. Investing in a automobile lacks to become a headache. Just use the ideas out of this report and you could receive the vehicle you need at a good price. Actually buy Essays Using the net that Canadian college or university students’ have faith in | Having the ability to acquire essays from the internet tend to be your lifeline for getting all by yourself back again heading in the right direction.